The story of The Killian Documents controversy in the days leading up to the 2004 presidential election. 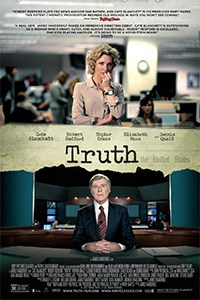 When veteran newscaster Dan Rather (Robert Redford) and CBS News head Mary Mapes (Cate Blanchett) choose to air a segment on 60 Minutes exposing how President Bush avoided being drafted to Vietnam through his father's political advantages, the resulting fallout ultimately costs them their jobs and reputations. otsoNY Comments: Though part of the film was based at the CBS building in New York, the actual building wasn't used, and in fact there doesn't seem to be any New York locations actually used for this film. Instead locations such as Sydney in New South Wales, Australia was used. 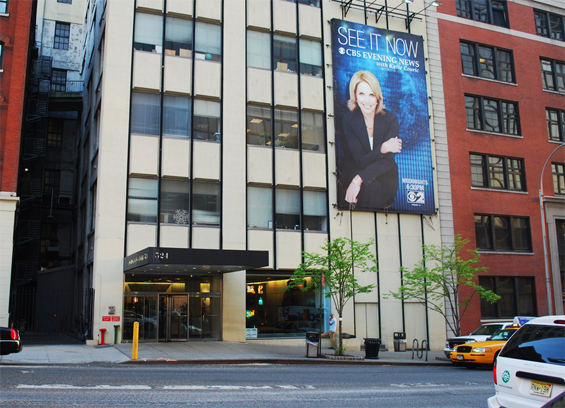 otsoNY Comments: The CBS buiding in New York is located at West 57th Street.